Children are wonderful, but their rooms tend to get cluttered and messy very quickly. 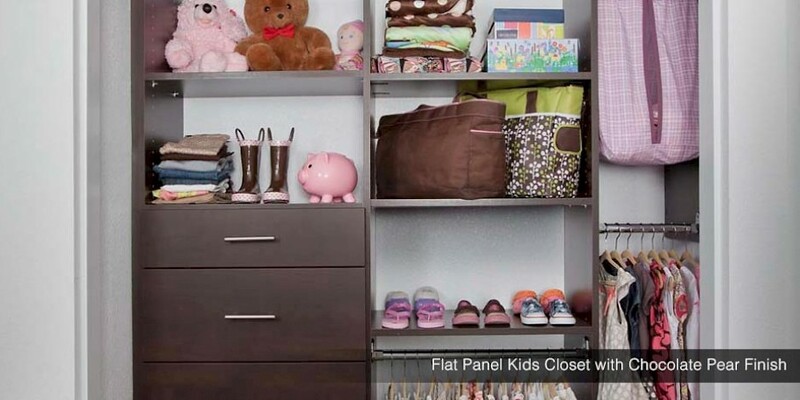 From toys to clothes and books to sports gear, kids’ closets are cluttered and extremely disorganized. By designing a special closet for their needs and having a place for all of their items, their entire room will stay more organized and parents will be happier. Closets Direct can help make that happen. Your kids likely have a lot of items and having easy access to all of it is important. Time is valuable and spending hours trying to locate a toy, article of clothing, or a shoe should not be an issue for you. 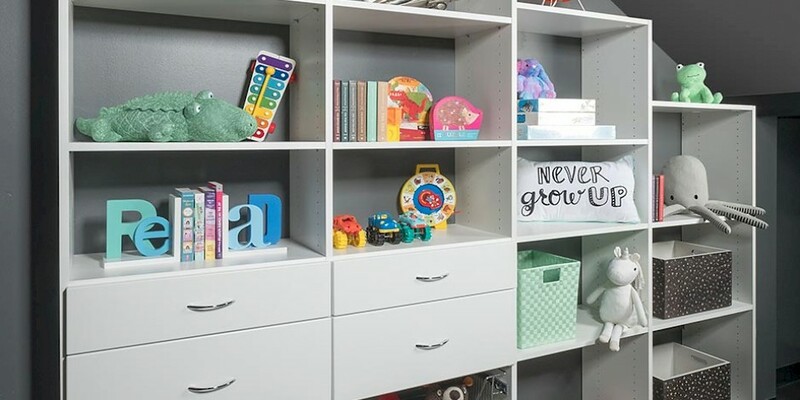 Our design specialists can help resolve that situation by helping to create Clifton, NJ kids’ closets that will be functional, meet all of your needs, and help your child keep track of all their belongings. Closets Direct will schedule a consultation for us to come out to your home and look at the kids’ closets in question so we see the type of situation you are in. We will complete measurements to allow us to know your space and the parameters we have to work with. During this visit, we will also listen to your ideas of what you are looking for out of a finished project. You know what you want, and we are there to utilize our design skills to attempt to match your vision as best as possible. Once we have completed our consultation, that is when we will begin working hard on your Clifton, NJ kids’ closets designs. We will create a 3D rendering with our software so that you can see it like it were right in front of you. Sometimes we are able to complete this while we are at your home, but most of the time we get back with you within 2 days to show you our vision of what we can do for you. At this time, we will also provide you with our estimate of what the costs will be. You will be surprised at how pleasantly priced our quote will be considering the amount of work that we will be putting in for you. We are confident that we can create the perfect kids’ closets for you and your children. Our design experience of over a decade and over 1000 satisfied customers helps to add to that confidence. We can make your vision come to life so your kids will have a special space of their own for all of their cherished possessions. Our design solutions will offer a place for everything so you will be able to teach your children the valuable lesson of organization at an early age. We will do everything in our power to meet all of your design needs and make you happy with your decision to choose Closets Direct for your kids’ closets. Our reputation shows that we listen to our customers, create a design based on their vision, and complete a wonderful space for them. Contact Closets Direct today so we can help solve your closet design needs.